Moses has sent us a couple of really neat reports. “I am very happy to write this short report on my visit to one of our student’s church and ministry. 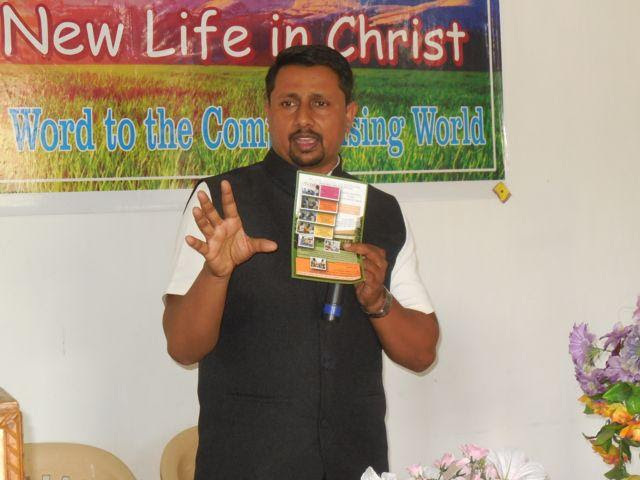 Since six months one of our student studying in R/AC 2nd year, had been inviting me and was organizing my visit to his church and ministry and by Gods grace yesterday I had an opportunity to visit his church, worship in Wardha district. 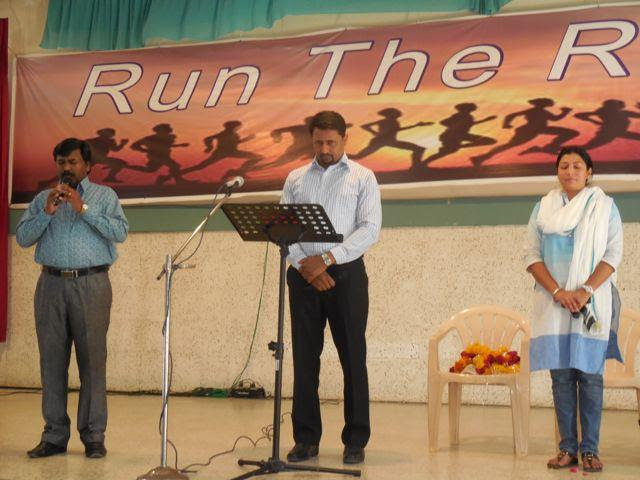 This church had organized one-day conference and I was the main speaker for this conference. 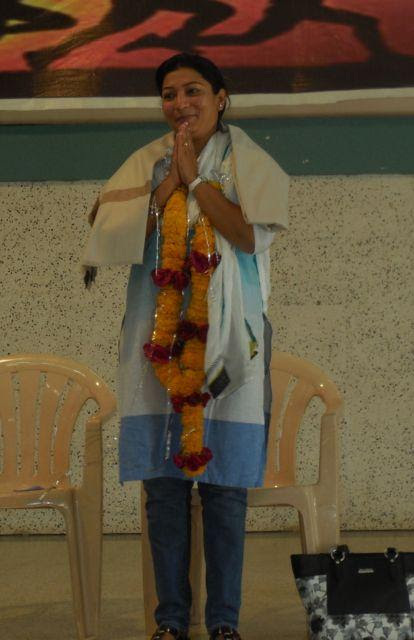 I had to travel 130 KM from Nagpur to go to his place. Since I was traveling in my car I invited five more former students of Prakash to join me and share their testimony. It was a wonderful time of traveling together and talking to people from different regions and villages. 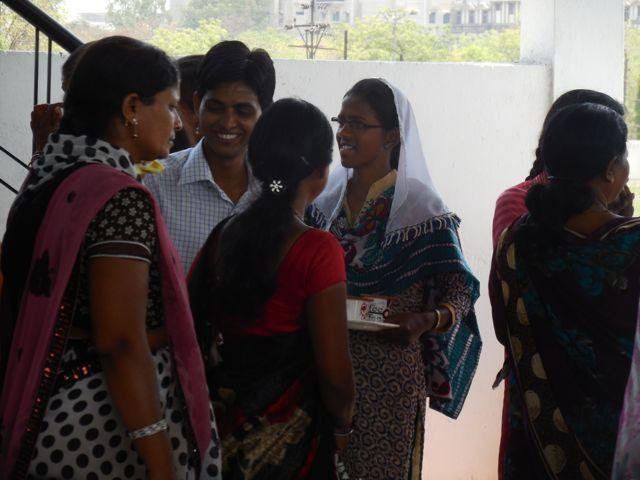 It was such a joy to know that some of the church youths and the local pastor itself is the former student of Prakash. The local pastor Bhaskar who was our computer student and his sister Mayuri who studied in RGI are the pastors of this church. 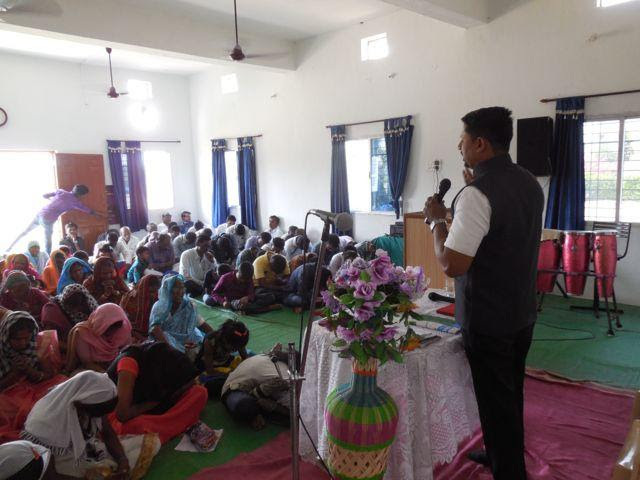 The head of this ministry who was also present for this conference shared that Bhaskar (former student and pastor) and his sister brought 200 people to Christ in this church itself. Amazing Amazing, Amazing. 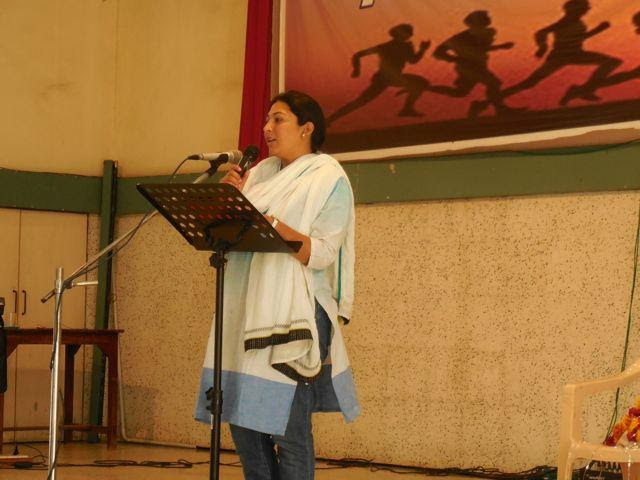 When it was my time to preach the word of God I introduced Prakash Institute to all and made our former students to share their testimonies in short. People listening to the testimonies were very much blessed and impressed. I briefed them about the courses of Prakash Institute and encouraged the congregation and the pastors present there to send girls and boys to Prakash. My heart was filled with joy and tears to receive a grand welcome and a wonderful treatment from our former students that are members of this church. They were super exited to see me. WOOOO HOOOOO…. After the conference I visited another village that was 40 km from Wardha and had delicious food in one of our students’ house. This village is very much interior but the name of Prakash is still famous and known to many people. After having such good food I was almost ready for a nap but it was time to travel back home. We all reached back home safely and I literally crashed down had no energy to even to eat dinner, believe me. Temperature yesterday was 43 degrees, 109.4 F and no AC. But God did protect all of us from the heat stroke and we did carry some medicine with us in case of sunstroke. 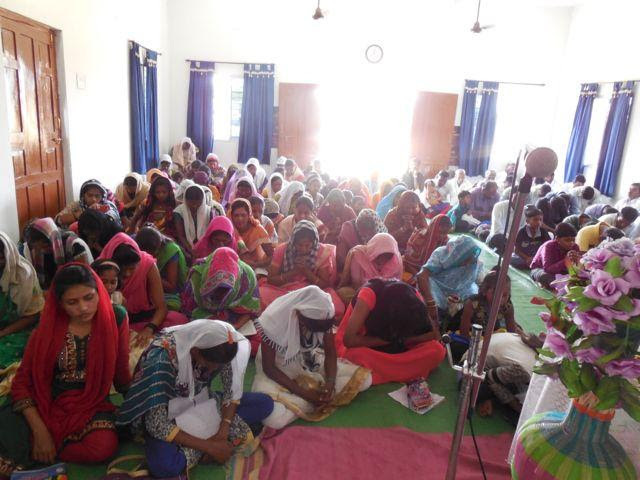 All Glory and honor to God for all that He is doing through the ministry of Prakash in the lives of these young people. 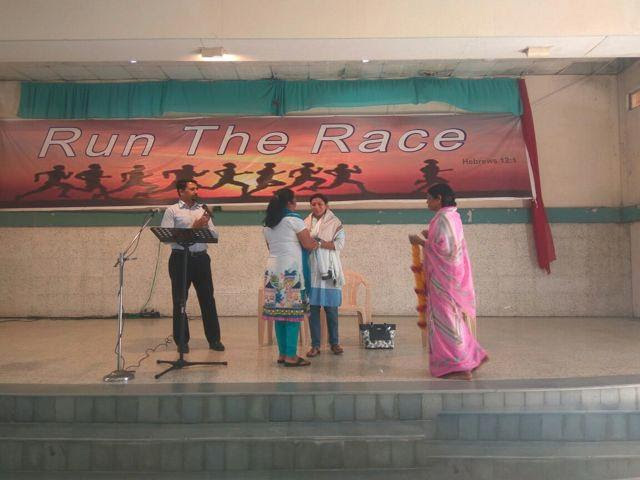 Mrs. Dhawad and felicitated her and expressed our support to her. I can’t tell you in words how emotional this experience was for her as she was totally impressed with our Institute and the ministry. She said that her father-in-law has started a school in Dhaba region and she was so proud and she always had a feeling that she is doing a noble thing for the society by running the school. 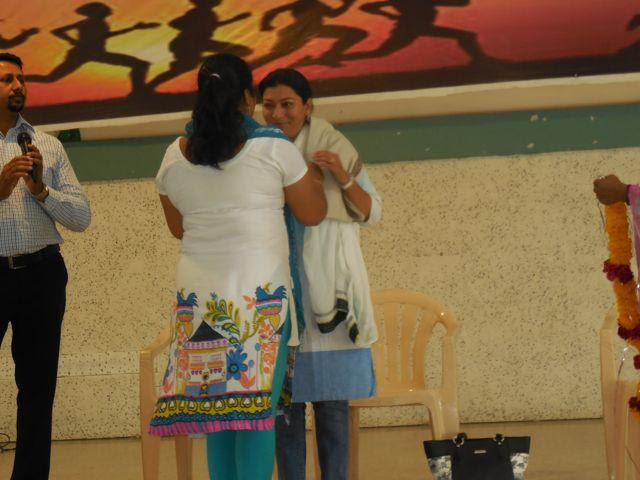 But after visiting Prakash she said, “today I got the feeling in my heart how little we are doing for the society”. She said the big image that I had for my school is being broken after visiting and understanding this Institute. Wow!!! What a testimony to hear from the mouth of non-Christian political person. Joy did not miss this opportunity to request her to repair roads inside Prakash from her quota or budget and streetlights outside Prakash and sewer line too. We will be inviting her again to have some business talk with her. Kindly pray for this new connection, as we all believe that this is a God thing. We have gifted her new Bible as the token of love and as soon as she received it she said I got many gifts from people but this one is the most precious one for me and it will always remain close to my heart. She has also promised us that she will read it. We prayed for her and her family and she felt very welcomed and honored.